If you are a stock investor then you won't need any introduction to the multibagger stocks. Multibagger stocks are the stocks which have the potential to provide many fold returns over the period of time. But the key question remains for all the investors that How To Find Multibagger Stocks?. Come lets understand the easiest way to pick the multibagger stocks every time. Indian stock markets are highly volatile, and to find the multibagger stock across this ocean, one need to immense patience. Indian stock markets can give you skyrocketing returns and at the same time, they can drain your wealth. So, its crucial to have an ideal approach, top-notch analytical skills and patience to bear short term losses. What Should Be Your Approach For Identifying Multibagger Stocks? There isn't any defined method for finding multibaggers, you can have many ways. Generally, fundamental analysts employ a top-down approach, where they initially take into account the overall economy and then narrow down from industry groups to specific companies. With this method, you can break down the process well and effectively. Journey to choose multibagger stocks starts from economic outlook. When an economy grows most of the sectors and stocks benefits and vice versa in an economic slowdown such sectors are hampered. Therefore the current economic outlook forms the first stage of analysis for finding multibaggers. The economic outlook can land you on the industries or sectors with the prominent future. Without analyzing economic outlook picking up a stock could be as similar to diving into the ocean without knowing its depth. To headstart, your journey of picking best multibagger stock first carries the analysis of the economy and economic conditions. Analysis for finding a multibagger stock is the economy to the stock approach which consists of the whole process. Before finalizing any stock for investment one need to analyze it from all the prospects. That is one need to understand its business model, vision, mission. Moreover, the strengths and weakness of the company etc. Let's just list it down what all you need to do for picking a multibagger stock correctly. First Understand the business model, plan and concepts of the company. After this one should link it to the economic outlook to determine its viability. With this analysis, you can understand the future potential of the business. Here are some questions that you must ask while analyzing the business model of the company whether its a newbie or an established one. 1. Does its business of the company make sense In the long-Run? 2. Is there a growing market for business in the future? 3. Can the company is able to maintain profitability with the said business model in the coming years? 4. Is the company a leader in the market? If not, then where it is placed in the market competition currently? 5. Does the company have high dividend yield? And is it among the regular and high dividend paying companies? A good business plan in the hands of bad management will always lead to the losses. To execute the business plan at its best, a company must have good management practices. So it is the second step of your analysis to verify the management of the company. Here are some of the pointers to help you to do it. 1. How skilled and experienced is the management team? 2. Does the management team have a good track record of profits and execution? 3. How long the management team is worked together? 4. Does the promoter of the business have any other business verticals? If yes, how are they performing? 5. Is the management keeping up good governance with all the legal and financial obligations? After analyzing the above qualitative factors, one needs to analyze the financials of the company. Analyzing financials of the company takes a dig at your patience and analytical skills. One needs to consider the financial data of the company for the current and past years also. Usually, a 10-year analysis could form good forecasting results for you. Companies annual report works as a bible for you. It gives you all the information related to all aspects of the company. However, to analyze a stock one need to also gather the information reported by the companies on a quarterly basis. All this information can be found on the BSE ( Bombay Stock Exchange)https://www.bseindia.com/ and NSE (National Stock Exchange) https://www.nseindia.com/ websites. Companies own websites are also one of the most authentic sources of finding this information. Though it's easy to use, we still recommend following the company website to be the most authentic source. Here in this section highest office bearer of the company i.e. the chairperson, the managing director or the chief executive officer (CEO) address the shareholders. With this statement, you can analyze the quality of the management of the company and their optimism about the business. The MD&A section is one of the most important sections of the annual report. In this section, you can get the narrations in a top-down manner. In the beginning of this statement, you can read about the global economic outlook and its relevant impact on the business. Further, it starts to narrow down on the business and the prospects of the company. The section explains the strategies implemented and strategies planned by the company to head further. MD&A also highlights the key opportunities and challenges in the respective sector. So, all in all, you can get your STEP I and STEP II has done with this statement. MD&A can help you to form an authentic qualitative analysis of the company. Key Financial Statements And Things To Look Into These Statements? Financial statements are the milestones of your route towards the multibagger stocks. Till the financial statements of the company show the potential you dont need to worry about other short term price drops. An annual report is the basket of companies important financial statements. Annual report offers you the key financial metrics with Profit and loss statement that is income statement, balance sheet and cash flow statements. Meaning- The profit and loss statement (P&L) which also known as income statement is the statement that sums up the revenues, costs, and expenses that business incurred during a financial year or a specific quarter. Meaning- The Profit & Loss statement gives us information about the profitability of the company whereas the balance sheet is a report which provides detailed information about the assets, liabilities, and the shareholders' equity. i. Ratio Of Current Asset To Current Liabilities - This determines the liquidity of the company. For a company with healthy financial, it is important for current assets to be liquid enough to pay current liabilities. Generally, a current ratio of 1.5 to 3.0 is considered good. ii. Asset Turnover Ratio - The ratio determines the company's efficiency in utilizing the assets. A higher asset turnover ratio is considered to be positive for the company. iii. Debt Levels/ Size And Cost Of Debt - The cost of debt is important as the company with the higher debts are usually seems to be under pressure to carry their operations and expansions. Ideally, a debt to equity ratio of 2:1 is considered acceptable for the company. Meaning- A cash flow statement is a report of the cash generated by the business from various sources, and how the cash has been utilized by the business. Cash from Operating Activity- The section shows the total cash generated from the sales of the company less the cost accrued to reap those revenues. Positive cash flow from operating activities is preferred the most as it shows the strength of the company. Cash from Investing Activity- The section reflects the companys capital expenditure. Higher capital expenditure many times suggests the expansion capacities of the company. Cash from Financing Activity- The section reflects the companys cash flow from its borrowings and advances. Higher cash flows from financing activities. Thats all with all above analysis you can shortlist the multibagger stock from the basket of stocks and can bet on it for a longer term. However, to ease you with the analysis we at Niveza offer you our personalized service named p360 Multibagger. 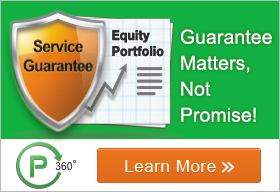 The service offers you the highest growth multibagger stocks with a personalized delivery. Moreover, the product comes up with a service guarantee which offers you a privilege of getting uninterrupted service until you make the targeted returns. This service is made to make your investing life hassle free and offer you multibagger returns in the longer run. To know more about the service you can get in touch with us anytime at 09637171436.